Juliana recently had a writing assignment that involved writing a nonfiction story. So basically she could write about anything that recently happened. 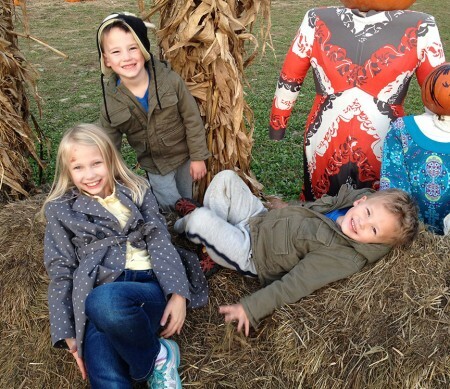 I suggested she write about our recent trip to the pumpkin farm and several other fun things we had done in recent weeks. She went off to write and handed me the story to read. She wrote about gymnastics and that she usually goes to gymnastics on a regular night, but when her Mommy is out of town for work she doesn’t get to go. Of all of the topics, she wrote about me not be available. This week her current 12-week semester ended and she came out of class with tears streaming down her face because her gymnastics BFF was moved up to the next class level and Juliana wasn’t. I couldn’t help but feel like she might have been moved up if she hadn’t missed those classes. I was headed to Chicago for a tradeshow and Wyatt was with my parents. I hadn’t had a chance to tell him that I was going out of town so I called on the way to the airport. I explained that I was leaving and I would be back in 3 days and I would see him after school on Wednesday. He told me not to leave and hung up the phone. And then he walked over to my mom, put his head in her lap and cried. Scott and I went to a hockey game the next week and as I was getting ready to go Wyatt got very agitated. “Where are you going? Are you going on an airplane? Are you staying in a hotel? How many days will you be gone?” I quickly explained that I would be back in a few hours and he calmed down. On March 2nd of this year, Scott was in a car accident and ended up with a bad concussion. For the majority of the next 2 months he was checked out of day-to-day family life. He wasn’t allowed to drive and noise (3 kids!) and light made his headaches unbearable. So he stayed in our bedroom during the day with towels hung over the window blinds to block out all of the sun. Most days I would see him for an hour after the kids were in bed, but the kids went days at a time without seeing Scott during that time period. It was a challenging time for Scott dealing with a difficult recovery and a stressful time for me worrying if our lives would ever return to normal. I also couldn’t leave the house unless there was another adult at home and I began to feel very isolated. Right around the time of Scott’s concussion, a job listing I had been waiting for was finally posted. As I wrote last year about Work-Life Balance, I made a conscious decision to step off my fast-track career path after the boys were born. This would have been a great opportunity for me, but I didn’t even apply. The interview process would have involved at least two trips and the position would involve travel at least once a month. I couldn’t pursue the position when we had no idea when Scott would be able to drive again and manage the kids without me. At the end of April, my direct supervisor resigned and within a week I had that job along with an official promotion and raise. It was a good step and not something that I could say no to. I went from being busy to being overwhelmed. I started working for hours after the kids were in bed every night trying to learn everything necessary to do my new job. I have traveled more since June than the previous 2 years combined. I have been in the office more – 6 out of 12 recent business days. 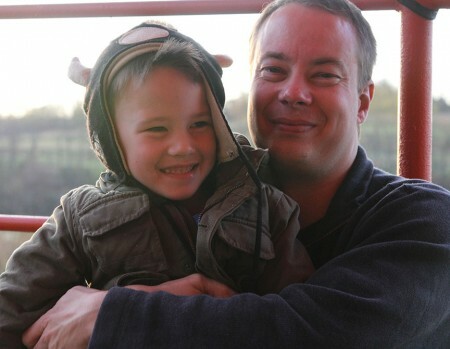 Going to the office means that I am commuting an hour each way – that is time that I am not spending with the kids in the morning and evening. My new role has expanded to include several special projects – the part of the company that I work for is being divested which means a lot of extra work and responsibility for me. I am actually enjoying work for the first time in many years. The projects are exciting, but unfortunately the projects mean long hours and added stress. Monday night it was after 10 when I returned home from meetings. Last night I went back to my desk after the kids were asleep and it was suddenly 11:45. November and December are going to be challenging. So we are reshuffling and trying to find a new work-life balance. Currently work is getting a lot of my attention. On the other side, Scott is spending more time with the kids which is good for all of us. I was so busy this summer and suddenly it was fall. I felt like we didn’t give the kids a great summer. But I looked back (yay, lots of pictures) and we did have a great summer and fall. 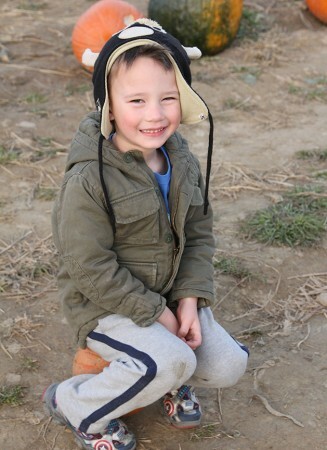 Here are some pictures from our family evening at the pumpkin farm. I may be a stay at home mom, so I don’t totally understand, but my mom worked… She and I got our bachelor’s degrees the same year (she was 52, I was 22). I looked up to her for being able to do it all and seemingly being everywhere at once–even more so now. You are doing a great thing for your kids. I completely understand this. I hope you get into a swing of things soon and all of the craziness is behind you! I see all that you do. You have no reason to feel guilty. You are a great Mom. 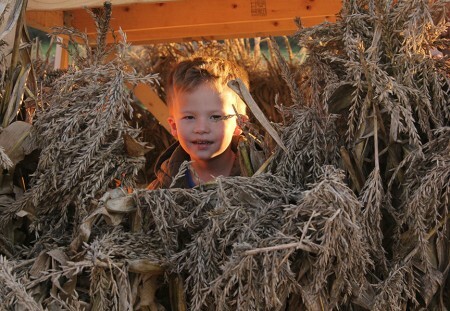 Jen – These pictures of the pumpkin farm are beauties. 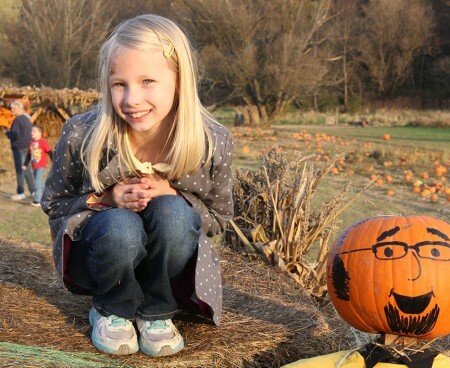 I still have the one of Juliana on my frig, she’s standing in the middle of hundreds of pumpkins, she doesn’t look older than about 2. It’s one of my very favorites of her. I don’t want to say you missed your calling but I often thought you should have been a photographer (your pictures all seem to tell a story) and then again I often thought I’d like to be a writer but never pursued it…….you have such a talent you make me shed tears many times with your sharing. That’s a gift! But the biggest thing is you’re such a wonderful mother I often feel really guilty that I didn’t do more with my little ones, opened more doors for them. 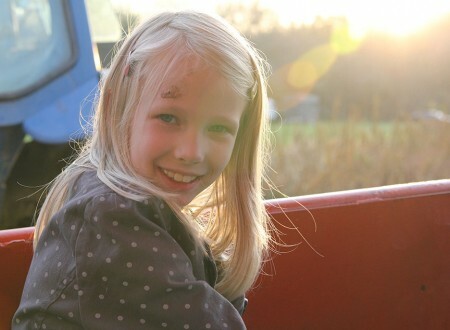 I am amazed at the places you take them & the things you do for them……..and there is so much we didn’t know back then. Well, you can’t go back but before I get too hard on myself I take a good look at mine. Hey it isn’t everyone who has a son that grew up to be vice president of Campbells Soup and look at your mom. She’s a winner, so gifted & everybody loves her,you can’t say that of many people. And I guess the biggest challenge was losing their father so young & holding it all together. OK, I guess I didn’t do too badly thanks to the Lord. Well, I’ll quit there & you need to be very proud (but humble, it’s all God) of the mother you’ve become. Remember, we are none of us perfect.